Former WBA super middleweight champion ‘Saint’ George Groves has announced he is hanging up the gloves. The 30-year-old closes out his 10-year professional career with a very respectable record of 28-4 (20) after engaging in many memorable battles including back-to-back wars with Carl Froch in 2013-14. “After taking a little time to reflect on the recent events in my career, I have decided that it is time for me to retire as a professional fighter. In 2017, I boxed in front of a home crowd in Sheffield and became the WBA super-middleweight world champion,” Groves said in a statement. 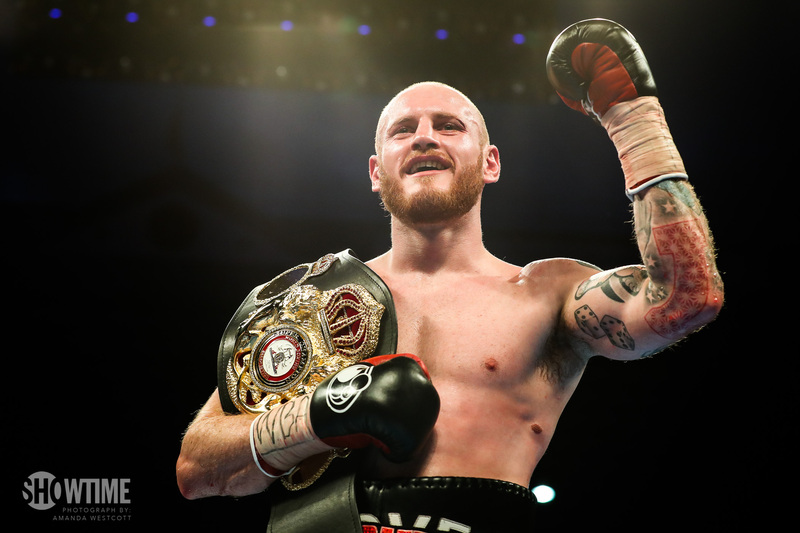 In his last fight Groves was stopped by Callum Smith 25-0 (18) in the seventh round of a competitive fight in the World Boxing Super Series final last September. “Some of you might think it odd that I’m choosing this time to retire,” continued Groves. “I’m still young, still fit and healthy, and there are still some big fights out there for me. But it’s for these reasons that I am choosing to retire now. “I have a young family at home; it’s time to spend some of my better days with them. I don’t want there to be a time where I’m ‘too old’ to box on, or where an injury retires me in or out of the ring. Groves took the time to say a prayer for former opponent Eduard Gutknecht after the German suffered a brain injury in their 2016 clash that forced his premature retirement. “Lastly a prayer for Eduard Gutknecht who suffered a brain aneurysm after our fight in November 2016,” said Groves.